We are selling our software since 2003! (activate the program on up to 6 your family computers) Buy Now - 2 Users - $59.90 Save 25%! Both 2Checkout(ex-Avangate) and MyCommerce provide real time secure ordering. Usually you get registration code within several minutes after the payment is complete. Should I repurchase the program in case of change the computer or reinstall Windows? No! You do not need to purchase the program again in case you change the computer or reinstall Windows. If you lose your activation code, you can use our automatic reminder. It's easy. Home License is for home use only, Business is for home and office use. 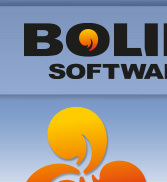 What is Bolide Software CD-ROM? This CD contains trial versions of all our software products. Typically, it contains all of download sections from this site. Absolutely. All your information is encrypted and sent using the highest levels of security available. Both registration services handle millions of dollars of online orders per year and security is paramount. Yes, both services offer this facility. Just click on the order form, and when you get to the section requesting payment details you will be given the telephone number you need to call to complete your order without sending your payment information across the internet if you prefer. How many computers can I use the registration key on? You can use your key on 1-2 of your _own_ computers. For example on laptop and desktop. You will receive all minor updates free. For example, if you purchased the key for 3.3 version it will work with 3.9 too but will not work with 4.0. You can update to the next major version for the reduced price. Priority support option is available!